Whether you’re a hockey fan or just a business person, you will have heard the Wayne Gretzky quote, “Skate to where the puck is going, not where it has been,” and in the automotive sector of IoT there is no better example than Delphi’s recent investments in high-tech companies. My sources in the auto sector tell me that Delphi has been playing catch-up in areas like cloud, SaaS, apps and big data. Until recently, it was behind its rivals like Harman, Bosch and Visteon in many of these growth areas. If we consider where the puck is today, I would argue that the connected car is focused on telephony, telematics, apps and infotainment, with a healthy dose of SOTA/FOTA (software and firmware over-the-air updating). On that subject, Delphi’s recent acquisition of Movimento, a leading SOTA/FOTA provider, was a smart move to solidify its offering around today’s automotive challenges, of which updating cars remotely rather than in the dealership is definitely one. However, Delphi recently did what all good hockey players do; it lifted its head up, it didn’t chase to where the puck is in 2017, and instead it predicted where it will end up in 2018, 2019 and beyond, and it invested to meet the puck there. So where exactly is the puck heading? In automotive, and IoT in general, it will all be about the data. Data will be the new currency, with vehicles being a means to an end for collecting valuable data, and everyone in the value chain will be scrambling to monetize the data generated by vehicles. Vehicles will become what today’s Android smartphone has long since become, a data generator for the likes of Google to benefit from. Those of us that use Android are prepared to give up some of our personal privacy in order to get terrific free services like Google Traffic. Today, automakers and their tier 1 vendors are fighting against Google and Apple, taking over the dashboard with initiatives like SDL (SmartDeviceLink) for app mirroring, and in the future they will need to do the same to stop Google and Apple owning the car’s data. Today’s car does generate data such as the outside temperature, whether the car is skidding on ice, and driver behavior, but very little of it is even stored locally, let alone sent anywhere for processing. That will all change in the future, when each car will send millions of packets of data monthly, giving terrific insight into macro factors such as traffic conditions all the way down to individual driver habits and traits. In 2017, the likes of Delphi are figuring out how to pull that data from the vehicle and where to send it to, but in 2018 and 2019 the puck will be somewhere else completely, so Delphi is skating towards a world where the data is crunched, analyzed, brokered and monetized. We can imagine a world where a single vehicle and driver will be contributing data to traffic services, transit operators, smart cities, insurance companies, retailers, weather forecasters, media companies, dealerships and more. The value of the data generated depends on the recipient; for example, traffic patterns or parking availability is only valuable in aggregate, whereas a driver’s routes and associated buying habits are extremely valuable to retailers wishing to attract that driver to their stores. 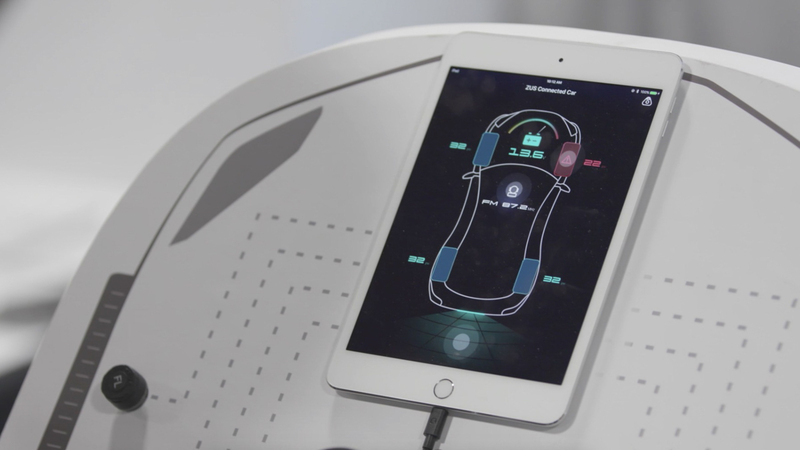 Connected car dashboard, as seen at CES 2017. From all of that we think we can see where the puck will end up, so exactly what did Delphi do in April 2017? It invested in Otonomo and Valens, two companies that will help Delphi to skate faster. Otonomo’s technology aggregates data generated as cars are driven and sends it to automakers, who can then use that data to sell services to the owner of the car. The company cites services including emergency assistance services and location-based advertising. Valens specializes in technology that helps companies move high volumes of data around the vehicle by delivering chip-to-chip technology that allows for connectivity speeds six times faster than today’s industry standard. 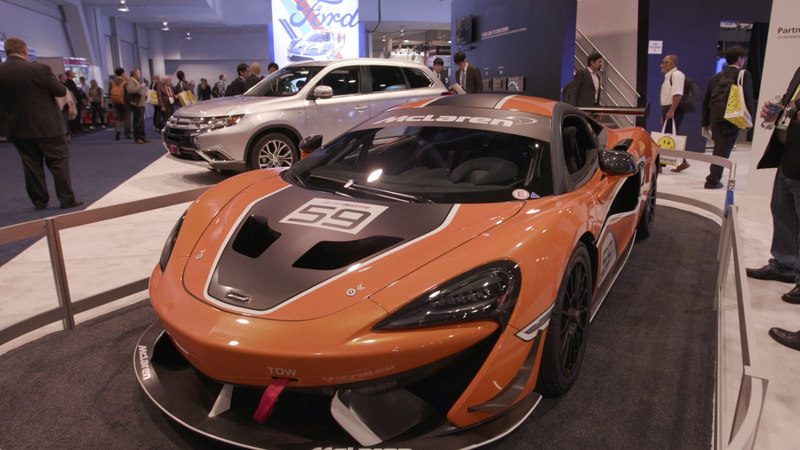 A connected car on display at CES 2017. The automotive sector is undergoing a massive wave of digital transformation. 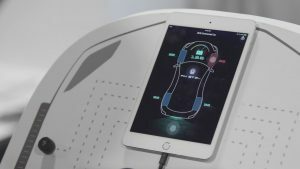 If the car of the future is merely a big IoT sensor on wheels, and if the connected car sector is a microcosm of the wider connected IoT space, Delphi’s strategy is a good indication of how many other “old school” companies will have to figure out where the puck is heading, and how they can skate to it before the opposing team gets there in order to capitalize on the massive opportunity presented by the collection, dissemination and monetization of the data that devices are generating.